Help file, Marketing & Website ERRORS! Please report written/documentation errors you spot. If you are spotting FL Studio Manual errors, check the Online Manual to see if they still exist, that is updated frequently. 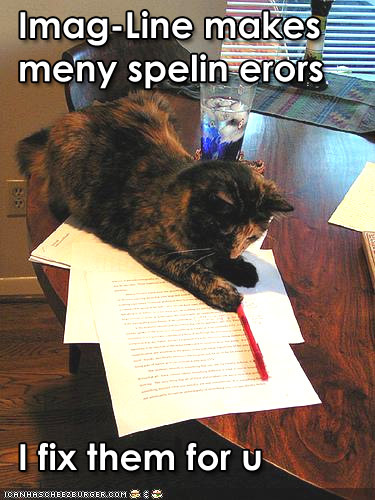 FINALLY, WE DO MOST CORRECTIONS ON SLOW DAYS - So thanks for your patience. Last edited by Scott on Fri Apr 22, 2011 10:31 am, edited 237 times in total. Re: Help file, Marketing & Website ERRORS! Last edited by Mister Nosu on Thu Apr 18, 2019 4:39 pm, edited 1 time in total.